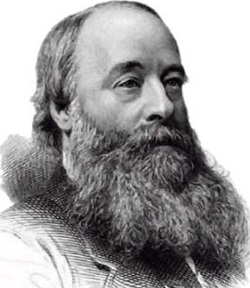 James Prescott Joule was born at Salford, near Manchester, England, on December 24, 1818. He was the second of five children born to a wealthy brewery owner. As a child, James was weak and shy, and suffered from a spinal disorder. Because of these limitations, he preferred studies to physical activity. Although his spinal problem later improved, it affected him throughout his life. In 1839, Joule began a series of experiments involving mechanical work, electricity and heat. In 1840, he sent a paper entitled ‘On the Production of Heat by Voltaic Electricity’ to the Royal Society in London—probably the most prestigious association of British scientists. In 1843, Joule calculated the amount of mechanical work needed to produce an equivalent amount of heat. This quantity was called ‘the mechanical equivalent of heat’. Again he presented a paper on his findings—this time to the British Association for the Advancement of Science. Again the response was unenthusiastic. Several leading journals also declined to publish papers on Joule’s work. Many British scientists were hesitant to accept his work, but Joule patiently persisted. Other enthusiastic supporters of Joule’s work were Michael Faraday and George Stokes. Both were famous scientists who were committed Christians. This endorsement by a few eminent supporters opened doors which previously had been closed to Joule. The Royal Society was now prepared to give him another hearing. In 1849, Joule read his paper entitled ‘On the Mechanical Equivalent of Heat’ to the Royal Society, with Faraday as his sponsor. 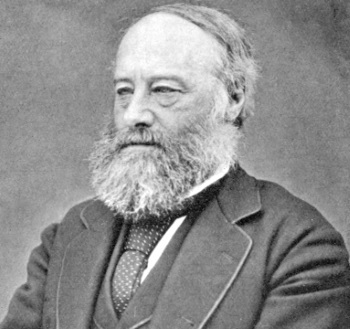 In the following year, the Royal Society published Joule’s paper and he was elected a member of its prestigious ranks. Joule’s principle of energy conservation formed the basis of the first law of thermodynamics. While evolutionists cannot explain how this constant amount of energy/matter originated*, the Bible does provide an explanation—only God can create out of nothing. The Bible also teaches that God sustains what He created. All other changes, either by man or the forces of nature, are merely rearrangements of what already exists. Joule was aware of the religious implications of his findings. He wrote that ‘it is manifestly absurd to suppose that the powers with which God has endowed matter can be destroyed any more than they can be created by man’s agency’.6 The law of conservation of energy was completely consistent with the Bible, whereas Joule considered that some aspects of the caloric theory had not been consistent with the Bible. Engraved image of James Joule. In recognition of Joule’s contribution in relating heat and mechanical motion, the unit of energy (or work) in physics was later named the ‘Joule’. For the next eight years, Joule worked with Thomson on a number of important experiments to confirm some of the predictions being made in the new discipline of thermodynamics. The most famous of these experiments involved the decrease in temperature associated with the expansion of a gas without the performance of external work. This cooling of gases as they expand is known as the ‘Joule—Thomson effect’. This principle provided the basis for the development of the refrigeration industry. Joule displayed an amazing clarity in conceiving, executing, describing and explaining his experiments. He saw no contradiction between his work as a scientist and his confidence in the truth of the Bible. Many of his fellow scientists shared his views. ‘In response to the tide of Darwinism then sweeping the country … 717 scientists signed a remarkable manifesto entitled The Declaration of Students of the Natural and Physical Sciences, issued in London in 1864. This declaration affirmed their confidence in the scientific integrity of the Holy Scriptures. The list included 86 Fellows of the Royal Society.’9 James Joule was among the more prominent of the scientists who signed the document. J.P. Joule in a brief autobiography written in January 1863. Published in Memoirs and Proceedings of the Manchester Literary and Philosophical Society LXXV(8):110, 1930–1931. Return to text. J.P. Joule, in a paper found with his scientific notebooks, as cited in: Crowther, J.G., British Scientists of the Nineteenth Century, Routledge & Kegan Paul, London, p. 139, 1962. Return to text. Encyclopaedia Britannica Vol. 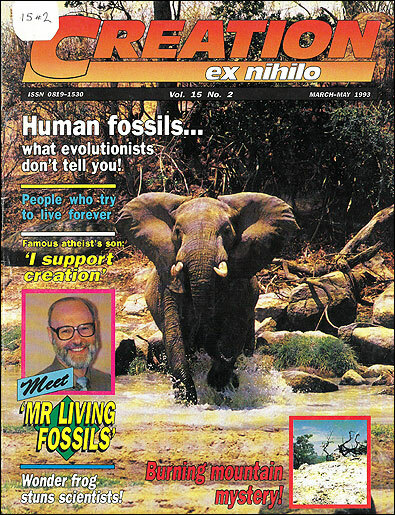 28, p. 612, 1992. Return to text. Asimov, I., Biographical Encyclopaedia of Science and Technology: The Lives and Achievements of More Than 1000 Great Scientists from Ancient Greece to the Space Age, second ed., Doubleday & Co. Inc., Garden City, New York, p. 399, 1982. Return to text. Huse, S.M., The Collapse of Evolution, Baker Books, Grand Rapids, Michigan, p. 59, 1983. Return to text. J.P. Joule, quoted in: Reynolds, O., Memoir of James Prescott Joule, Manchester Literary and Philosophical Society, p. 27, 1892. Return to text. Ref. 1, p. 110. Return to text. Steffens, H.J., James Prescott Joule and the Concept of Energy, Folkestone, Dawson, p. 142, 1979. Return to text. Morris, H.M., Men of Science, Men of God, Master Books, El Cajon (California), pp. 74–75, 1982. Return to text. Ref. 2, p. 138. Return to text. *The ‘big bang’ theory makes no attempt to explain how its hypothesized concentration of matter originated.